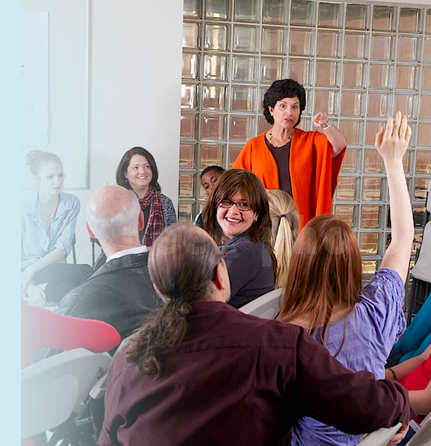 Dr. Susie Wolbe, EdD, provides individual and group mindfulness training for students, parents, and educators in Dallas, Texas. Dr. Wolbe has extensive experience as a teacher and administrator in public and private schools, and has trained with both Challenge Success and Mindful Schools. The term “mindfulness” recently started appearing all over the media, not only in the context of education, but for everything from sports performance to corporate finance. In your opinion, what are the benefits and drawbacks of this popularization? The benefit is that more people are looking at mindfulness to see what it’s all about. Mindfulness is a beautiful experience; if practiced with regularity, it allows the burdens of stress, anxiety, constant worrying, and depression to lessen. The drawback is having anyone think mindfulness is a “cure-all” for whatever ails you. And it is certainly not a quick-fix. Problems don’t disappear, but they do somehow become more manageable parts of our lives, and we seem to face them in calmer, more appropriate ways. It’s as though what was once fuzzy becomes more clear, and we can find a sense of relief from what had been plaguing us. Why is it important for teachers to participate in a training workshop before introducing mindfulness to their students? Teachers should be trained before being expected to teach mindfulness. Without even discussing the personal benefits of mindfulness for educators, I would still hope they have a practice themselves before teaching it to their students. There's a very big difference between simply following a teaching guide, and guiding students through something with which you have experience yourself. In a way, it's no different than teaching algebra. If you don't understand algebra, you won't be very successful teaching it in the classroom. If you don't understand or have an experience with mindfulness, your success in teaching it will be compromised. In a recent interview, Debra Mazda gave some recommendations for integrating mindful eating and exercise into a busy school day. What are some other ways teachers can take care of themselves in order to be more present and available for their students? Having been a classroom teacher, a principal, and an individual teacher/therapist, I've found that it's essential to develop a balanced lifestyle in order to be able to provide my students or anyone else, including myself, the best I have to offer. Developing a personal mission statement that reflects who you are and how you want to live your life is a wonderful first step. It's also important to prioritize the areas of your life, listing them in order of importance, and determining what you are willing to release so you have enough time for what really matters to you. Many educators have that “I can fix this” attitude, and get so carried away with the minutiae of their days that they often lose sight of the big picture. Yet, if you lose sight of the big picture, you end up losing sight of your own personal needs. What can parents do to help their kids manage stress and be more successful in school? Children watch and learn from the adults in their lives; parents can set the tone for their children so upsets become opportunities for growth, learning, problem solving, and building resilience. Parents should be supportive of their children’s progress and growth, without crossing the line into micro-managing assignments and relationships. Children need to see their parents partnering with the school and speaking respectfully of the institution and staff. Children will always experience more growth if the child, parents, and school are working as a team toward the same goals. As far as being successful, it’s important to understand whose definition of success is being discussed. If parents help children develop personal responsibility, a solid work ethic, respect for self and others, and a commitment to social service, the children will have more than enough academic and career opportunities from which to choose. Mindful teaching provides an opportunity to share strategies that help us slow down, get in touch with our feelings and emotions, appreciate each moment as we live it, and become more aware and in touch with our sensory experiences. It's sharing a practice that literally lifts burdens from our shoulders, and helps us realize and appreciate what is most important in our lives, even though it neither solves problems nor removes any sources of pain. Mindful teaching is teaching how to really see and appreciate the wonders in our world, be in touch with our feelings and emotions, and be open to others teaching us the same. Truly, a gift for us all. Mindfulness comes to me in a combination of many types of practices. I sit for varying lengths of time and focus on my breathing or heartbeat. I have bursts of mindful moments while driving, eating, or doing something as simple as brushing my teeth. I practice mindfulness when I walk outside and listen to sounds or notice how each part of my body feels as I move from one step to the next. I also use mindfulness as I teach, whether individual sessions or seminars, and as I communicate with others, whether children or adults. Mindfulness has helped me release anger, hurt feelings, and insecurities held over many years, feelings that I hadn’t even realized existed; I can now accept those and other feelings and emotions as they pass through my life, and am better equipped to do the same for others.